A stylish and practical alternative to a stairlift. 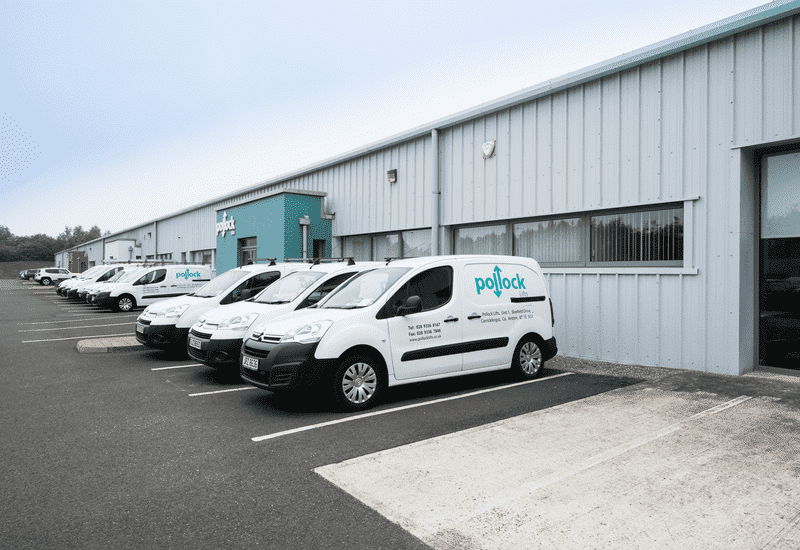 Pollock Home Lifts are designed and manufactured in the UK and quickly installed. 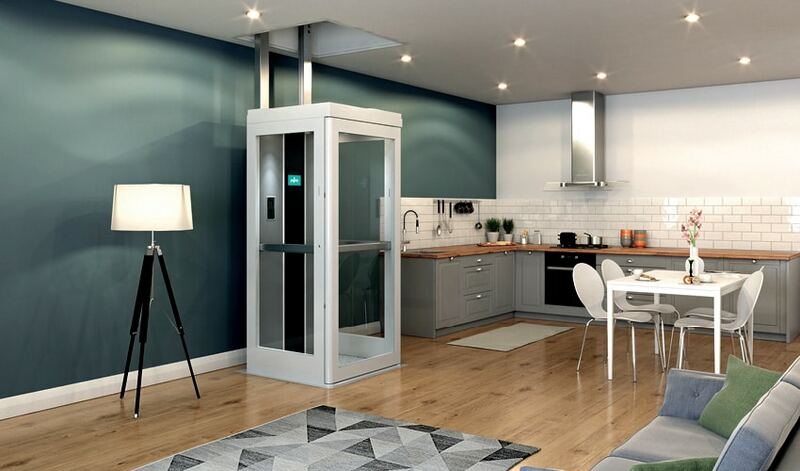 A Pollock Home Lift provides you with a stylish solution that is whisper quiet and because of its simple one touch controls, easy to operate – tailor-made for you and your home. We have been designing and manufacturing lifts in the UK for 35 years. 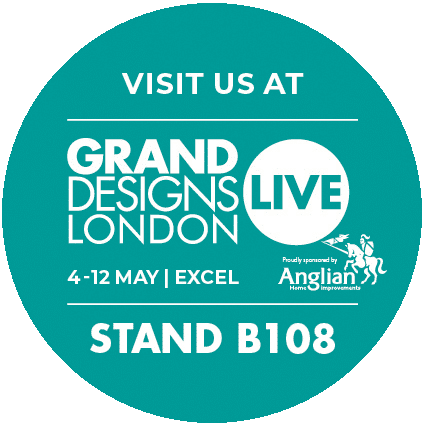 All our lifts are fully compliant with British Standards and fully guaranteed for 12 months. Call 0800 470 0440 or email us to arrange your free no obligation quote. 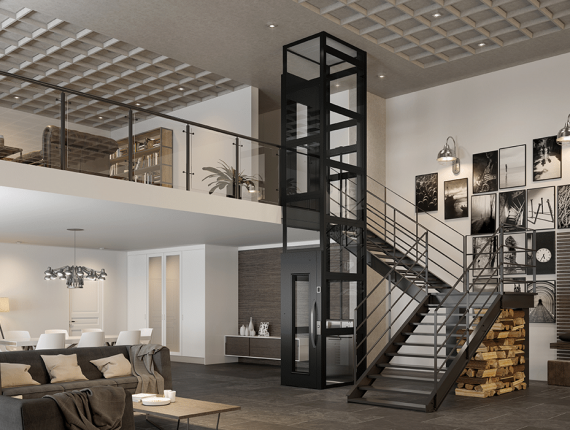 Our stylish residential lifts enhance your home and your life – and they are quite a talking point too. 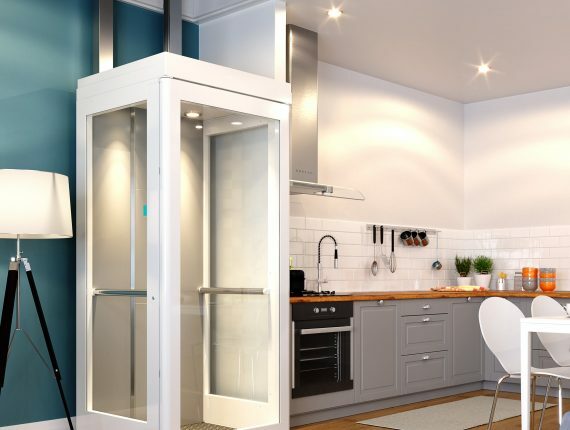 Unlike a stairlift, our spacious home lifts can carry two or three people and a wheelchair if required. 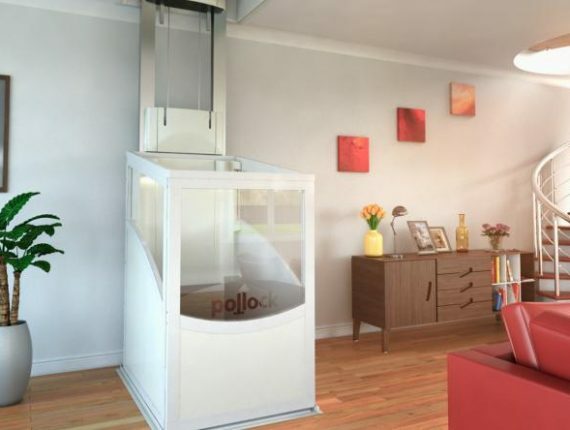 A Pollock Bespoke Home Lift is a beautiful architectural feature that everyone in your family will appreciate and enjoy.